Spring's here. While I am still carefully dressing very warm in the morning because it's still so cold out, there are some bright & sunny yellow daffodils in bloom in my kitchen and the sun warms up my house when it finally comes peeping through. I love the promise of Spring and Summer, I am so ready for these warmer seasons! With new seasons also come new makeup, with different textures and finished to suit the time. Dior is all about glow and plenty of colours for this year's Spring - a look that'll last you through Summer too as it's suitable for both early Spring days and hot Summer nights. 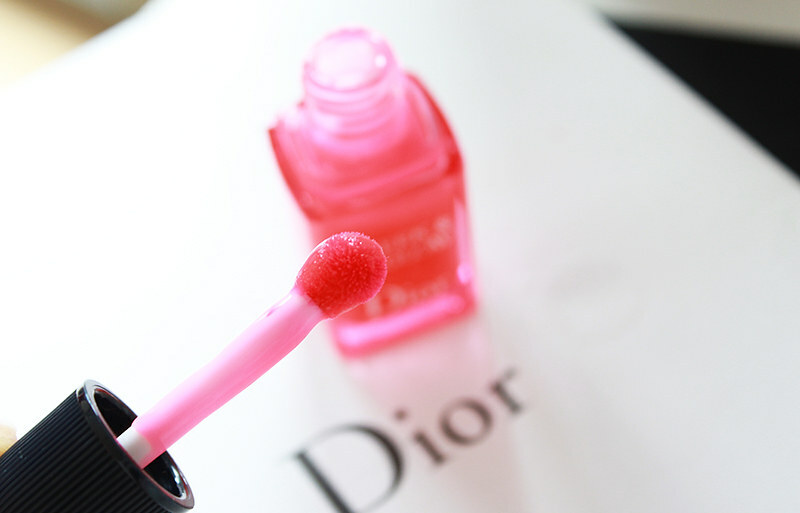 Let's browse through Dior's Kingdom Of Colors and let me show you how these picks perform and look! Dior's Kingdom Of Colors is quite an extensive collection - there's a little bit of everything in it. 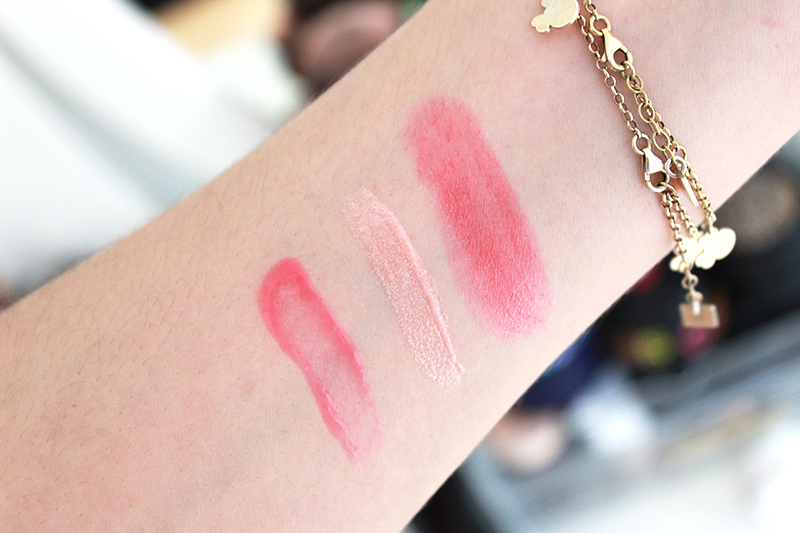 I received the Cheek & Lip Glow, the Rouge Dior Baume in Cotillon and the Dior Addict Gloss in Fastes. The Cheek & Lip Glow is quite a nifty product - it feels very refreshing on the cheeks and is definitely a very natural looking product. 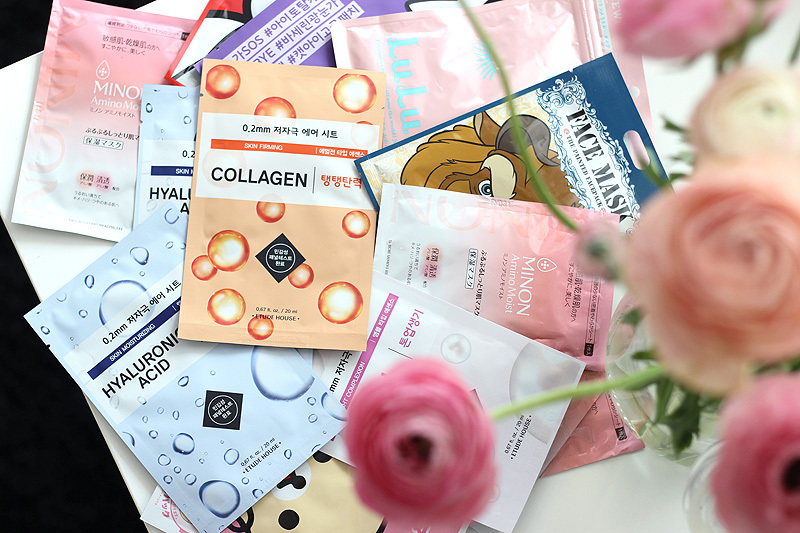 If you're after a flush that melts away into your own skin and stays put all day - this is it. I dab it directly onto my skin (or for hygiene reasons you could dab it onto a little mixing plate or directly onto your brush) and then stipple away with a small stippling brush. 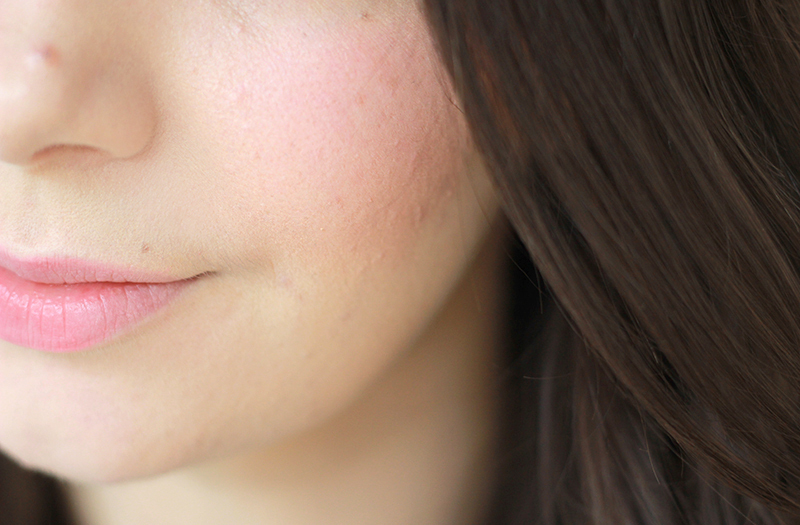 I use Zoeva's Petit Stippling Face Brush and that one does the job perfectly. I find that I like adding a second layer of product on top of my first application for the prettiest result, although I do like quite some pigment on my cheeks so I guess it depends on your preference. You can't see or feel any product on your skin, it doesn't really get more faux naturel than this. Even though it is also meant for the lips, I wouldn't really use it on mine. It does add a little bit of extra colour to my pale lips, but it has a matte (and drying) finish; I find that I really need to use another moisturising lip product on top. I would wear this with a clear gloss, but underneath more pigmented lip products it wouldn't really make any sense. 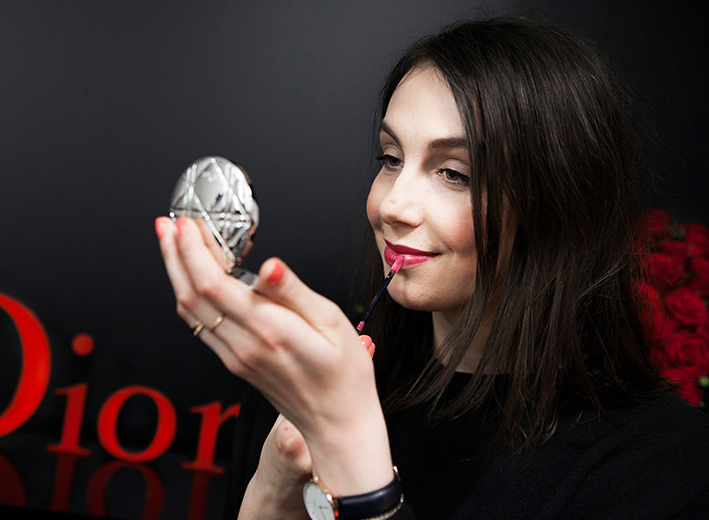 Dior Rouge Baume is a great formula - it reminds me of Chanel's Rouge Coco Shine. It's moisturising, feels comfortable throughout the full wear and provides a sheer pop of colour that is definitely noticeable - do think of this as a sheer lipstick rather than an expensive chapstick with a bit of colour. Cotillon is a beautiful fuchsia colour that is an easy pink to wear for those who usually aren't too much into pink lippies. What I love the most about this formula is the ease of wear: touch-ups can be quickly done on the go without a mirror, it doesn't settle into lines and doesn't dry out your lips. 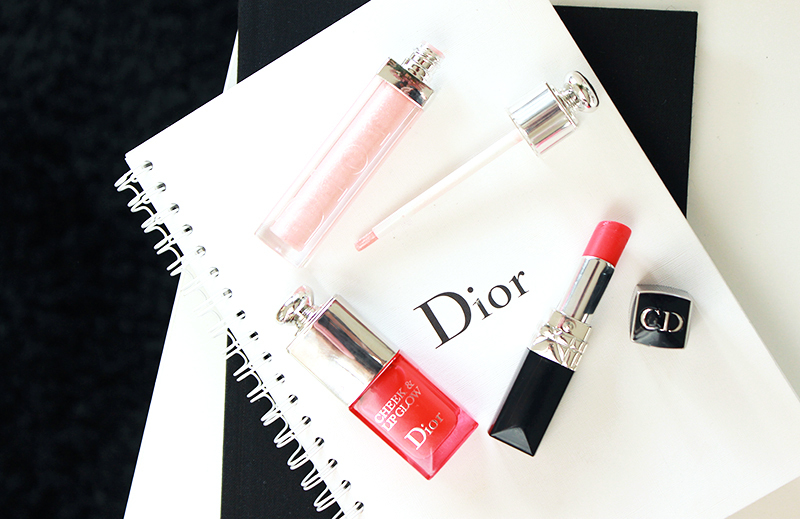 The Dior Addict Gloss is a product that takes me back to my high school years - I remember that Dior Ultra Glosses and Lancôme Juicy Tubes were star products we all swooned over. 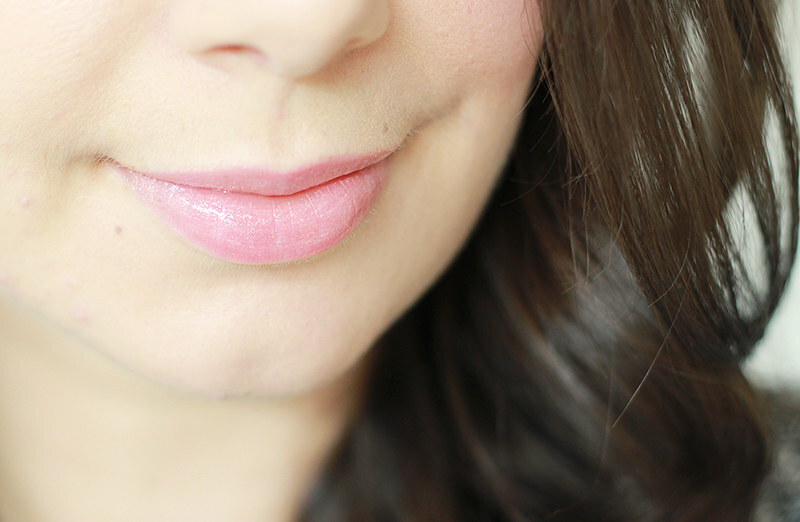 Fastes is a very shimmery pale pink colour that is perfect for anyone who likes a milky baby pink, ultra sparkly lip. The subtly sparkly, soft and flowery colours of the glosses in this collection are a reference to the love Christian Dior had for his gardens. The applicator is a little brush instead of a little sponge, it's easy to work with with this formula. I find that Addict Gloss is quite long lasting and not overly sticky; it feels smooth and moisturising. On a windy day I wouldn't wear my hair loose wearing it, but it's still much better than some other gloss formulas that are around. 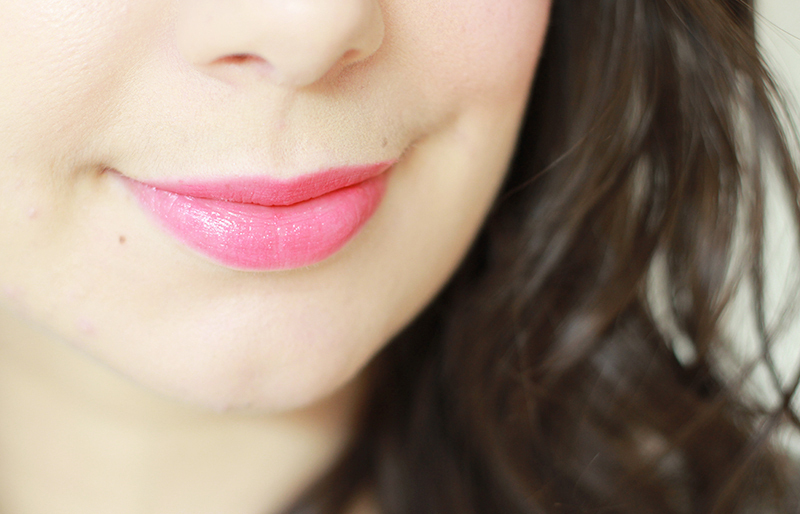 To illustrate: I thoroughly dislike sticky glosses, but I would wear this one.